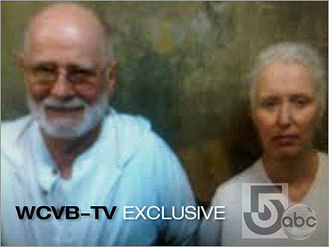 James “Whitey” Bulger, the purported Boston mobster who has been on the run for 16 years, was arrested last night in Santa Monica, CA, where he had reportedly been living in a rent-controlled apartment complex with his long-time girlfriend, Catherine Greig, 60. Whitey Bulger, now 81, wanted for 19 murders and who had been on the FBI’s Ten Most Wanted List, was brought into Federal court this afternoon where he executed the paperwork waiving any contest to extradition and agreed to return to Massachusetts. When asked, Bulger admitted his true name was James J. Bulger; and also stated that he was pretty familiar with the charges against him. Catherine Greig also agreed to return to Massachusetts without contest to face her own criminal charges. Most people who know the name Whitey Bulger know the story. Bulger had been working as a confidential informant for former FBI agent John Connolly. Over the course of their relationship, many believe that Bulger was able to influence Connolly, who eventually became so loyal and fascinated with the underworld lifestyle of Whitey Bulger, that it was Connolly who was really working for Bulger – accepting bribes and tipping off Bulger from criminal investigations against him and his other associates. …notably, John Connolly wasn’t the only one who was complicit in providing Bulger information. Former FBI Agent John Connolly proved his worth to Bulger 16 years ago when he provided him his biggest tip – the 19 count federal indictment charging him with Murder, racketeering and other criminal charges. Since Whitey Bulger had been on the run, the corruption involving former agent John Connolly and the Boston FBI office was uncovered. Connolly was ultimately criminally charged and convicted of racketeering in Boston federal court. Following the completion of his 10 year sentence on that charge, he will then begin serving a 40 year sentence after having been convicted of 2nd Degree Murder in Florida. He was convicted on those murder charges after he leaked information about a potential witness to Bulger, who then arranged for someone to kill him. The irony in all of this is that, almost immediately upon Whitey Bulger’s arrest, the FBI issued a statement praising their diligence and resolve, but also extending their sympathy to all the children and other family members of the 19+ murder victims who suffered their fate at the hands and will of Bulger. …but who is the bigger monster in this story: Whitey Bulger or the FBI who gave him the license, essentially sanctioned him, to commit these and other heinous crimes? Boston Criminal Lawyer Lefteris K. Travayiakis is available 24/7 for a Free Consultation on all Massachusetts Criminal Charges.